Excellent! Love the color contrast! Fire and ice. Very nice! this shot rocks! love the colors and your choice of portrait format. Nice work. Stunning. This is an excellent capture. The saturation on the horizon really makes the ice pop. 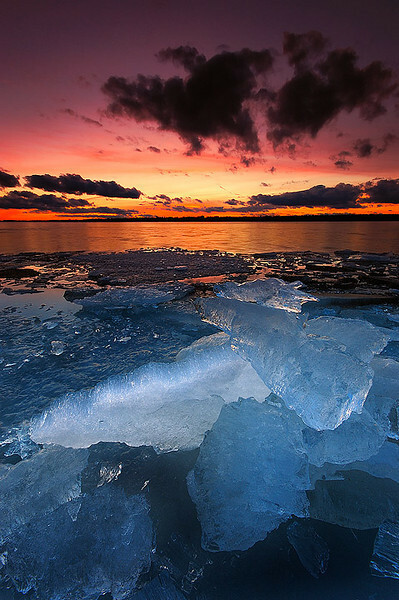 Cool blue tones of ice, with warm sunset or sunrise colors. Very eye catching image.